There are 6 posts in this thread, and it has been viewed 6514 times. 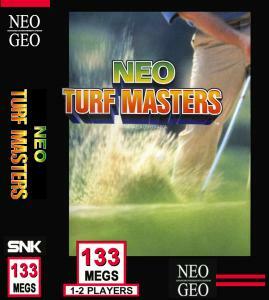 Neo Turf Masters: Best golf game? 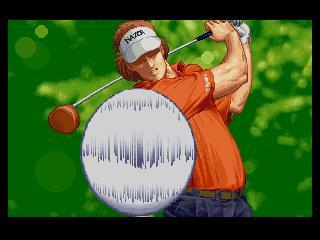 Neo Turf Masters is one of the few sports games on the NeoGeo. This is often considered one of the best sports games on the system! 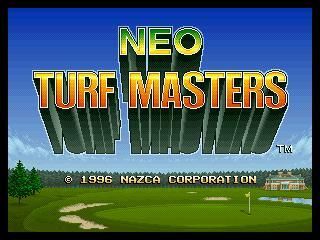 I haven't played it yet, so I don't have much to say..
Neo Turf Masters is a golf video game by Nazca for the Neo Geo, released in 1996. This is also one of the first two titles by Nazca, the other being the popular Metal Slug before being acquired by SNK. 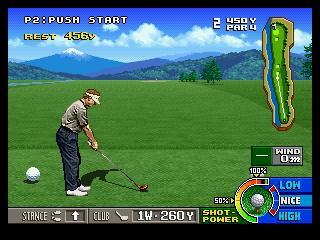 The game is a fast paced, arcade-style golf game. Players choose from two game modes, stroke play for one or two players, and match play for only two players. Anyway, you really feel that this game was developed by the same guys that created Metal Slug in the same year. Yeah, I'm talking of the holy grail of developers: "Nazca Corporation". I don't mean that it has Marco and Tarma in it, it's just that you really feel the love for details Nazca invested in this game. It has nice graphics, animations and a good gameplay as well. I think a certain amount of time is needed to work out with the controls and the interface (especially with the choice of the different golf clubs - I still can't help me with that). The Neo Geo has quite a few sports games and overall I'd say most of them are of a high standard but there's no doubt Nazca's Neo Turf Masters is one of the best ones. With excellent presentation, great graphics and four challenging and varied courses it's a joy to play. I think even people who have no interest in the sport and have never played any golf games would still love this game. Murikov I have heard of those earlier Irem golf games but never got around to playing them before. Looking at the screenshots the graphics do look very similar to NTM. It'll be interesting to try these out and see how the gameplay compares. I'm keen to take part in a high score challenge for this game. Just a suggestion Priest but perhaps it would be a good idea to allow people to use unlimited credits so they can finish a complete round and we could have separate score sections for each of the four courses. Main post is updated with a link for the HSC. Merlin: Please correct me if I�m wrong but unlimited continues are only available for the emulator users. I�m not aware of this option for the AES / MVS versions? I didn't realise that this NTM was a sequel to the Major Title series, although, when I was watching the video (a minute ago) I did draw my own comparisons. The Murikovs comments sealed it! Of course, now you make the whole Irem & Nazca comparison, it all makes sense. I have Major Title on the SNES. I have had it since childhood. 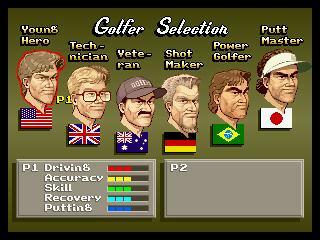 A friend and I used to juggle between playing PGA tour at his on the MD, and MTitle at mine on the SNES. Ah, those WERE the days! It's a great little game and looks incredibly similar to NTM here. Didn't know MTitle had an arcade release or indeed a sequel? Again, very interesting! I can tell you now though that, although the games look similar, the systems are quite different (judging from that video). They're are only 4 players in MTitle and the power bars etc are all different too (MTitle doesn't have a PGA-esque crescent-type bar for example, unlike NTM). A very polished sports game that I keep meaning to dedicate some time to, no excuse really as its on my multicart. Never a big sports fan but I do enjoy Winning Shot on the PC Engine so defo need to give this an afternoon of attention.